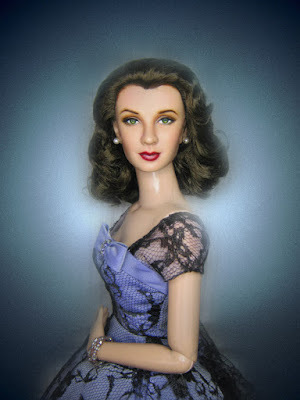 I was able to augment the name of the blog: Scarlett Reverie. Soultalk777 seemed vague and not sharp on majority of the content here. Reverie? 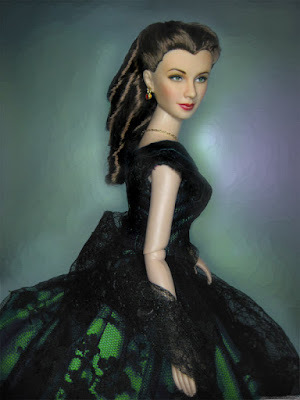 I believe it's appropriate to how a Scarlett doll makes me personally feel, and the portraits that I envision her to be in, also the possibilities of what the doll could be. Shamelessly, I post pictures which capture those possibilities. A blue gown could turn green and ringlets could multipy on her head. Long after the dolls will have tarnished or I may be old to even see well how to repaint, these portraits live on. They may not be the best in repaints, nor in portraiture, but I certainly hope they can inspire those who stumble on this blog. 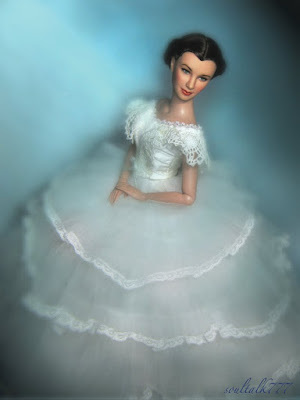 A doll is just a doll until it brings out imagination. That's my opinion. 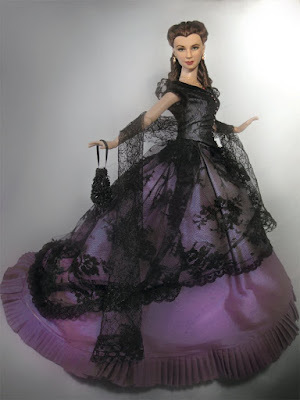 Personally, shelves are nice places for them to be in, and boxes nice for them to keep, but the true joy of a doll is seeing it come to life in ones creativity: be it OOAK gowns, repainting, photography, etc. 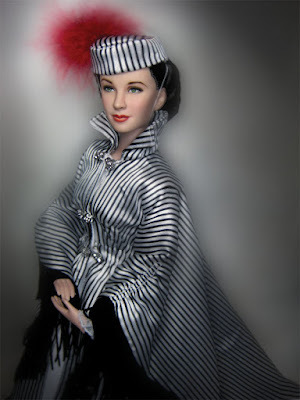 As we wait for the release of Franklin Mint or Tonner's new collection. 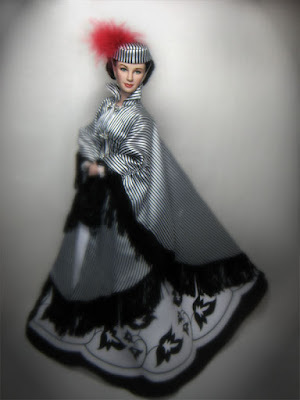 And me, personally waiting for the new Scarlett doll outfits, I see great possibilities in the "power of play". Thanks to Teri for featuring this as "picture of the week". I never expected things to go this far, but thank God it did. I've been wondering what would occupy my time -- as time goes by. Somehow when the have-to-do's are done, we fill our time with what we enjoy where no time matters but that. Somehow, it's beginning to be clear and it's beginning to point towards some direction. Thank you Teri! Thanks for participating in my Picture of the Week Award! Your work is beautiful.